For the past week, the Grand Connaught Rooms has played host to Season 10’s European Poker Tour London. Highlights from the stop included Martin Finger taking down the £50,000 Super High Roller; Vanessa Selbst and Phil Hellmuth capturing titles; and Jason Lavallee winning the £10,000 High Roller. On Saturday, Sweden’s Robin Ylitalo added his name to the list of winners when he topped a field of 604 players to win the EPT London Main Event for £560,980. Action recommenced with about an hour left in Level 27 (25,000/50,000/5,000), and it didn’t take long for the first elimination to occur. It happened when Georgios Karakousis opened for 100,000 from early position with the only to have Kully Sidhu three-bet all in for 435,000 from the cutoff holding the . The button and both blinds folded, and Karakousis opted to make the call. According to the PokerNews Odds Calculator, Sidhu had a 63.16% of surviving the hand while Karakousis would score the elimination 36.40% of the time. The flop was disaster for Sidhu as Karakousis paired his jack and became a 67.88% favorite. The turn was of no consequence, and that meant Sidhu needed to find one of his nine outs headed to the river, which would happened 20.45% of the time. The dealer burned and put out the , the last card Sidhu would see before exiting in eighth place for £60,640. 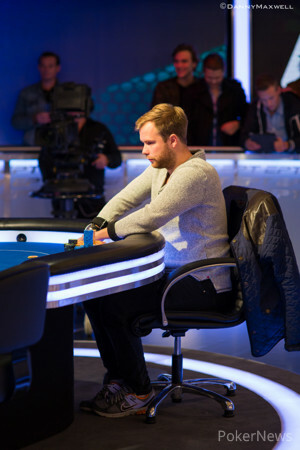 In Level 28 (30,000/60,000/10,000), EPT3 London third-place finisher Jan Olav Sjavik moved all in under the fun with . In the next seat, Ludovic Geilich held and asked for a count. Geilich ended up making the call, and the Scottish contingent began to chant for a nine. They got their wish as there was a nine in the door — . Neither the turn nor river helped Sjavik and he hit the rail in seventh place for nearly £90,000. It took a bit for the next elimination to occur, but it happened in Level 29 (40,000/80,000/10,000) when Geilich raised to 160,000 preflop with and Stefan Vagner made the call with . Robin Ylitalo then picked up behind and squeezed to 455,000. Geilich thought for a moment then folded. Vagner then shoved for nearly 2 million and Ylitalo called instantly. 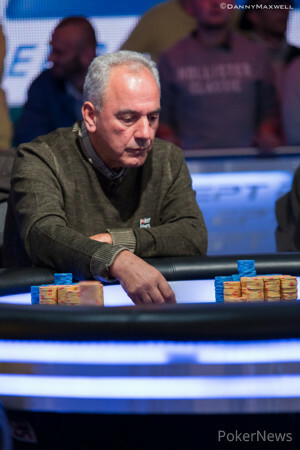 The board ran out and that was all she wrote for Vagner, who took home £119,225 for his sixth-place finish. Shortly after coming back from a break to Level 30 (50,000/100,000/10,000), Jeff Rossiter, who began the day as the chip leader but had fallen to the short stack, moved all in from the button for 1.255 million with the . Karakousis had been battling the Australian all day, so it was only fitting that he called from the small blind with the . The big blind folded and it was off to the races. The railbirds were cheering for their respective party, but Karakousis' got a lot louder when the flop delivered their man a pair of queens and the lead. The turn meant Rossiter needed a four on the river to keep his tournament hopes alive, but it was not meant to be as the blanked. The man who finished runner-up in the GuangDong Ltd Asia Millions (GDAM) Main Event for $3,161,290 back in June took home £152,320 for his efforts. Later on in the same level, Geilich raised to 200,000 holding , Ylitalo three-bet to 440,000 from the button with , and Geilich moved all in. Ylitalo called instantly. The board ran out and just like that Geilich was out in fourth place for £193,340. Leo McClean, a project manager in the retail industry, won his seat into this tournament for a total investment of just £93 (he played an £11 satellite on PokerStars, didn't get anywhere in that so then he played a £82 satellite which got him into the £530 qualifier where he won one of three packages). No matter where he finished on Saturday he was going capture his biggest ever live cash (crushing his previous best of a third-place finish in a tournament in Luton for £1,900 earlier this year). It was a bit of a fairytale for the 24 year old from Northamptonshire, but one that came to an end in third place. McLean, who was the Skrill Last Longer Champion for this tournament, opened for 225,000 with the only to have Georgios Karakousis three-bet all in with the in the small blind. It was a big decision for McClean, and he decided to call off for 3.26 million. It was and likely will be the biggest flip of McClean's life, and unfortunately for him, it was one that would not come down in his favor as the board ran out . McClean ultimately turned his £93 into £249,850! McClean’s exit set up a heads-up battle between Ylitalo and Karakousis. The former a 27-year-old online regular from Sweden, and the latter a family man and plastics factory owner from Greece that qualified for the tournament via a £215 Double Chance on PokerStars. Ylitalo, who finished eighth in the EPT8 Campione for €54,000 and sixth in the 2013 World Series of Poker Event #49 $1,500 No Limit Hold’em for $92,550, began with 11.12 million of the 18.23 million in play, and it didn’t take too long for him to seal the deal. Congratulations to Robin Ylitalo, the Season 10 EPT London Main Event champion! 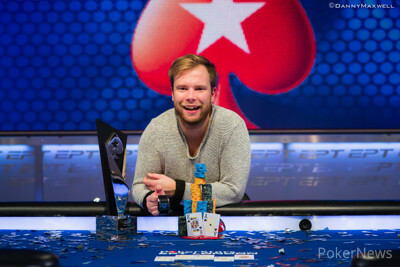 That does it for PokerNews’ coverage from the EPT10 London. In the coming week we’ll be bringing your feature pieces and daily recaps from the 2013 World Series of Poker Europe in Paris, so be sure to check back for those. 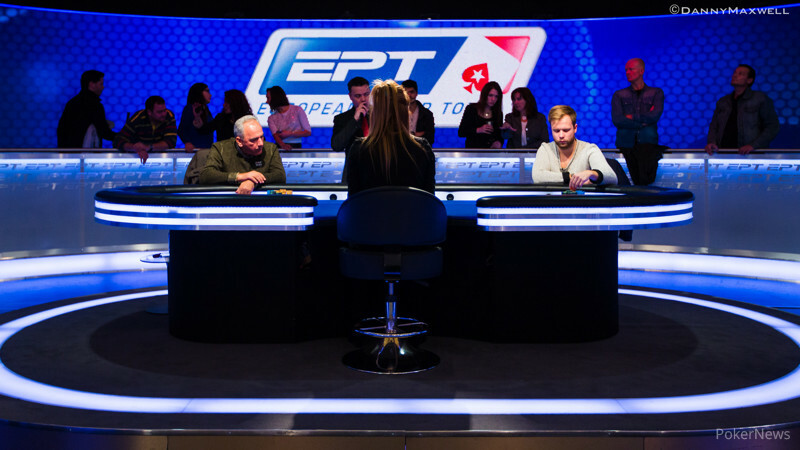 In what would be the last hand of the EPT10 London Main Event, Robin Ylitalo opened for 240,000 holding the on the button and Georgios Karakousis three-bet to 620,000 with the . Ylitalo thought for a few moments before pushing back to the tune of 1.45 million, and then he snap-called when Karakousis shoved for 6.2 million. It was a bad spot for the Greek, though the flop did give him some chop outs. Ylitalo's rail were cheering for their man, especially when the turn brought him one step closer to the title. The dealer burned one final time here in London and put out the . Karakousis missed and had to settle for a £349,200 consolation prize. Georgios Karakousis raised to 240,000 holding and Robin Ylitalo called with . Both players checked the flop. Ylitalo checked again on the turn and Karakousis bet 500,000. The Swede then check-raised to 1,250,000 and Karakousis quickly folded. Ylitalo made it 200,000 with , this time Karakousis three-bet to 450,000 with . Ylitalo opted for just a call to see the flop. Karakousis bet 600,000 and Ylitalo quickly folded. Georgios Karakousis opened for 200,000 with the and Robin Ylitalo made it 550,000 to go with the . Karakousis pushed back with a four-bet to 1.5 million but folded when Ylitalo moved all in. Robin Ylitalo raised to 200,000 with , Georgios Karakousis made it 600,000 with and Ylitalo quickly folded. Karakousis raised to 200,000 with and Ylitalo called with . Both checked the flop. Ylitalo check-called a 200,000 bet on the turn before the was checked down and Karakousis won the pot at the end. Ylitalo limped in the small blind with but instantly folded when Karakousis made it 400,000 with in the big blind. Karakousis raised to 200,000 with and Robin Ylitalo made the call with a dominating . Both players checked the flop, the Swede also checked the turn and folded to a 400,000 from his Greek opponent. Ylitalo limped with and then Karakousis min-raised with . The flop was and Karakousis checked, Ylitalo bet 220,000 but Karakousis made the call to see the on the turn. Karakousis checked again and this time the Swede checked back, the same thing happened on the river and both played the board meaning a chop. The final two players are back in their seats and cards are in the air. Here we go! The 2013 PokerStars.com EPT London Final Table is Here!